If you own a website which doesn’t show up on the search engine results, there is nothing substantial you could achieve out of it. Most likely it will fail to deliver the return on investment. Mere creation and publishing a website is not enough for the success of the business, users on the internet must be able to locate the website on search engine. This is where SEO plays a key role in enhancing the reach and organic traffic on the website. 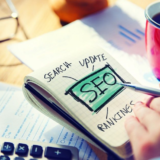 By optimizing the website for the search engine, the ranking can be improved and higher ranked websites appear among the top websites on search engine results. SEO explains the set of rules which must be followed by the website owner for attaining better rank on search engine. 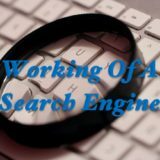 The search engine works on an algorithm to rank pages. This algorithm looks at various parameters and keeps on changing with time. There isn’t a defined set of parameters which when optimized can guarantee higher rank. It’s about following the best practices and examining what works best for you. Know your target Audience: Understanding the likes and interest of your target users is extremely vital for the success of any digital marketing campaign. When it comes to setting up the SEO, having prior knowledge of audience can prove to be extremely handy while deciding the keywords to target, type of content, the structure of the website that could engage the visitors. Knowing the demographics and geographic details may disclose a lot about your audience. Goal to achieve: Once the target audience is identified, before actually setting up the SEO campaign, we must understand what is it that we are aiming to achieve from the campaign. If the requirement of the business is to achieve hits on the website then the work needs to be done on the WebPages and if the aim is to create awareness about the website then we need to focus on creating backlinks. On Page and Off Page SEO covers these two aspects. Content is the King: A website is all about the content that it has on offer for its readers. Quality of the content contributes a lot to the long-term success of the website. Once you know the interest of your potential customers, the focus must be on creating the content that is most likely to be accepted by the audience. Ranking of the webpage varies as per the word count on the articles. For achieving a near perfect SEO, an article must be more than 1800 words. The content should be fresh, must hold relevancy for the readers and should not lose significance with time. Relevant Keywords: Choosing the most appropriate and relevant keyword is a key step for the success of an SEO campaign. It requires thorough keyword research which involves the need to examine what keywords are most likely to generate traffic. Knowing about what keywords your competitors are generating traffic from can be highly beneficial. Keyword Density: Once the keywords are decided, keyword rich content should be published. But, one should avoid unnecessary inclusion of keywords; it should feel relevant to the readers. SEO recommends 10% keyword density in each article. The first paragraph must have the keyword. Other Parameters: Apart from keywords and content there are some other vital parameters which need to be optimized to achieve the desired ranking on search engine. Meta Data: Meta Data should be unique and should focus on explaining what’s there on that webpage. Title: Title on the article must have the keyword. The title must be easy to understand and compel the reader to go through it. URL: One must look for short URLs as they are usually ranked better than the longer ones. Use of analytics tool: The performance of the SEO campaign for each selected keyword needs to be monitored. Using tools like Google Analytics one can get specific details on how each keyword is performing and which keywords are getting maximum hits. With these details, we can analyze if any of the targeted keywords need to be changed. Other details like from what sources the website is getting maximum traffic from, which browser is usually used to reach to the website or users from which geographical location brings more traffic. Ease of usability and readability on the website: The structure and layout of the website must be engaging and it should be easy to navigate. The users must feel at ease while accessing through the website. Also, the loading time on the website should be less else users might swap websites.